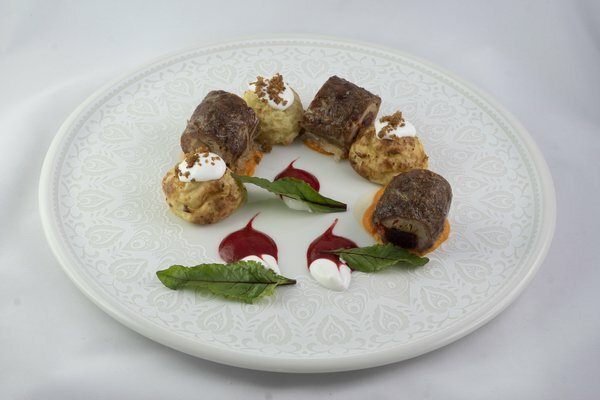 It is a great pleasure for us that ’Mirage’ (Délibáb) by Chef Péter Róbert Herédi and Sous-Chef Márk Eck represented our restaurant qualified for the final of ’The Food of Hungary 2019’ Cooking Competition. ’Mirage’ won the most special prizes. Among the 12 teams qualified for the final, our chefs took the 4th place, along with the VIP Special Award and the Mirbest Sponsor Special Award. We would like thank to the organizers and sponsors for making the national professional competition possible! Congratulations to the Páratlan Páros, whose Hajdú-Bihari Röfögő won ’The Food of Hungary 2019’! ’Mirage’ will soon be added to the Nyereg’s menu.